You can find these at your local grocery store. I have better luck finding the Guava paste at Publix. And I recommend only using the paste in this can. 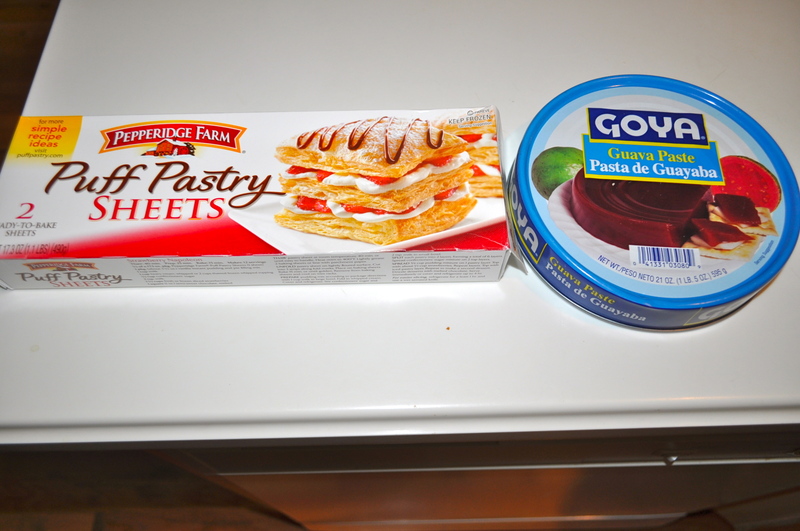 Other pastes are just not the same and your pastries will NOT come out tasting right. Heat your oven to 400 degrees. 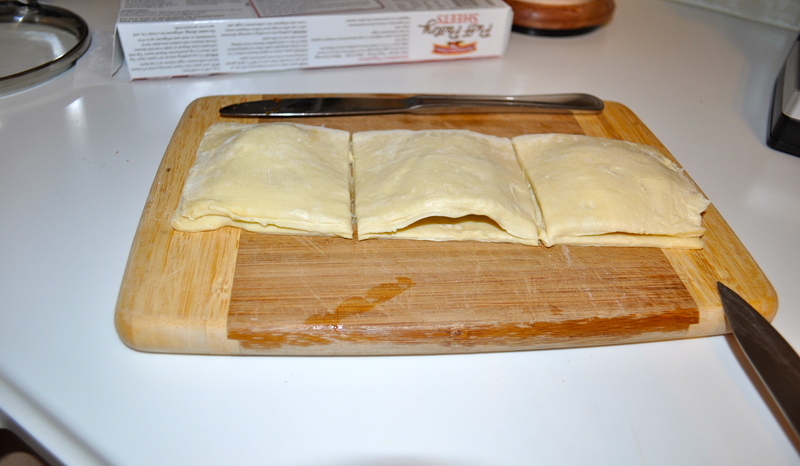 Let your puff pastry thaw out a little bit. Then you take both sheets and cut them at the folds. You will end up with 6 sheets total. 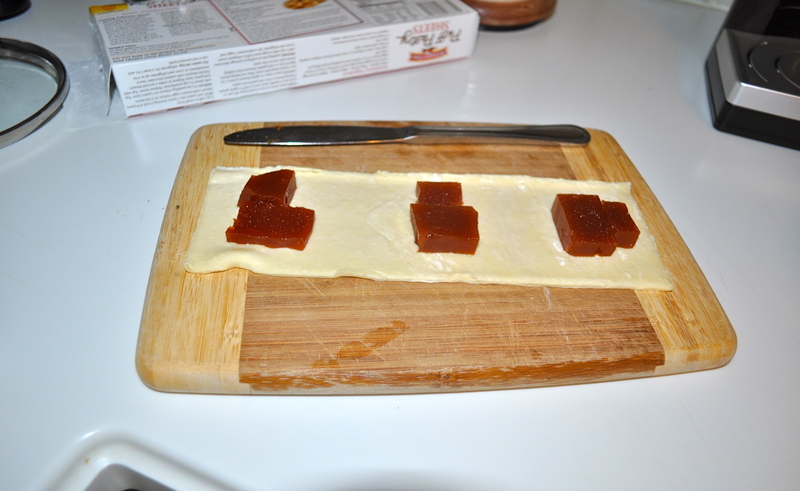 Then lay them flat and place rectangular pieces of the guava paste along the strips enough for 3 pastries like below. You can add as much as you like as long as you leave enough space for the edges. 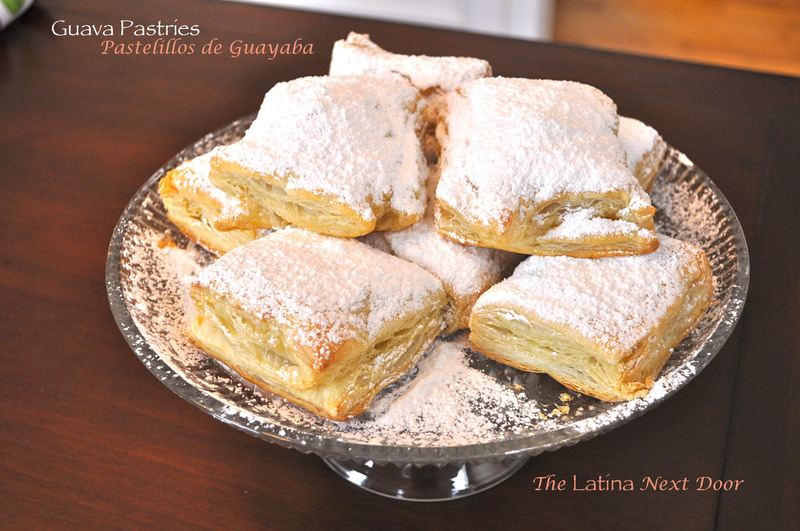 Then you place another puff pastry sheet over the guava paste. You cut them into three and then with a little bit of water along the edges begin to seal them shut. Then place them in the oven on a baking sheet or rectangular baking dish and bake for 10-15 minutes or until they are golden like below. Be sure to butter or spray your pan with Baker’s Joy so they don’t stick. WAIT for them to cool before sprinkling powdered sugar over them. If not, the powdered sugar will melt and you don’t want that. That’s basically it, you’re done! 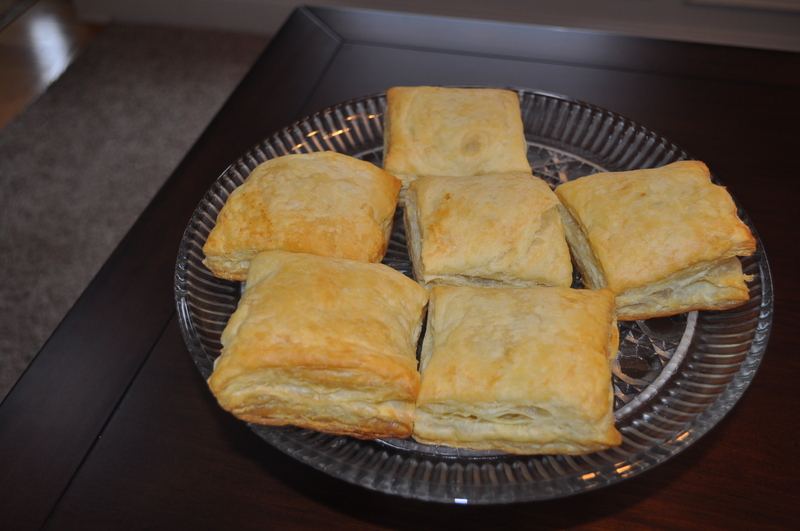 Each puff pasty box yields 9 large ones like these or you can cute these into 4’s (before baking them of course) and make mini versions. Hope you like these as much as I do! Buen Provecho from your Latina!